One night while laying in bed, we were chatting about what we missed about life pre-kids. There really wasn't much we could think of, they definitely make our world better! But I did mention to Scott that I missed being able to go out on a whim for an overnight someplace, not needing to worry about babysitters or getting home at a particular hour, then sleeping in until we felt like then rolling down to brunch. We giggled and sighed and decided we traded in these little things for some pretty great kiddos. Well fast forward to last week and my sweetheart surprised me for our 12 year anniversary with EXACTLY that! 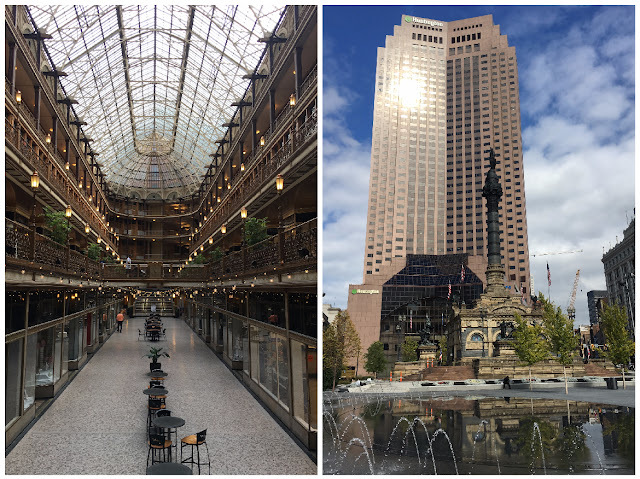 He planned the whole thing- my amazing in-laws took the boys overnight so we could have a night on the town enjoying our beautiful CLE and one another, of course! 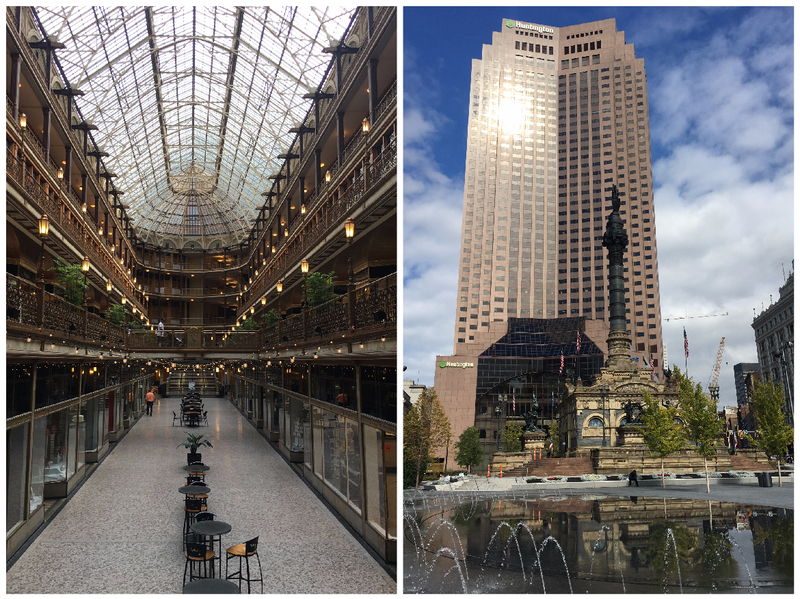 We stayed at The Holiday Inn Express which is located in the renovated 19th century historic Guardian Bank Building built in 1894. Gorgeous! It was like taking a step back in time, but with modern flair. Our room had hardwood floors! I've decided that all hotels should have that, so so cool. The view from our room was awesome and we were located directly across the street from E. 4th meaning we could walk everywhere. Bopping around the city on foot reminded us of our pre-married life living in Cambridge, MA. Scott thought of everything! 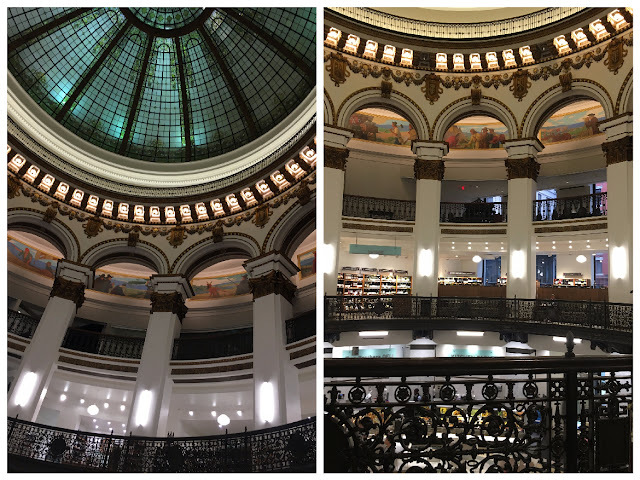 Since he snagged our sitters early, we had the afternoon to explore, and that we did! We had a Signature Cocktail at Mabel's BBQ (we neeeeed to go back for the food. It smelled SO GOOD in there!) and visited Cleveland's classic Arcade. What a gorgeous piece of architecture! 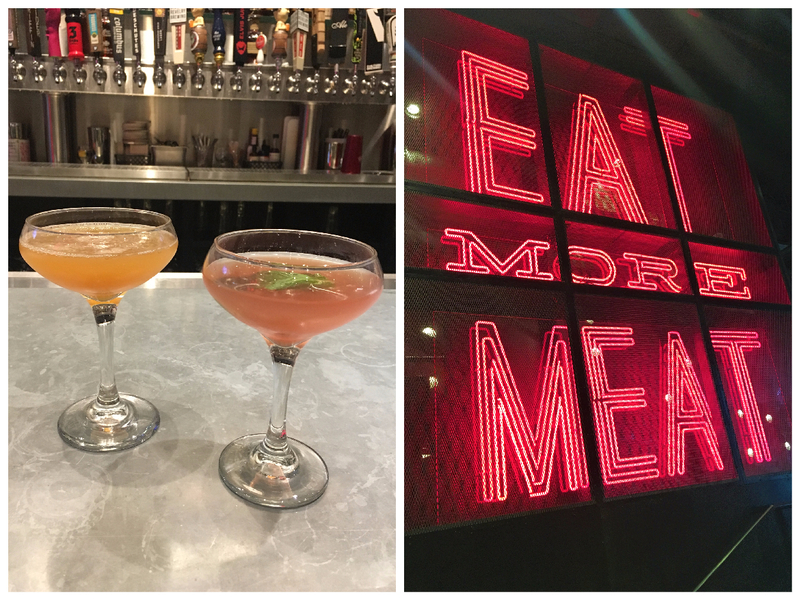 We then wandered through 5th Street Arcades and discovered a few hidden gems and a new favorite shop, The Happy Hour Collection. Its full of retro barware, cocktail mixers, bitters and tinctures. This will be my new go-to for special gifts! It was then reservation time for a spectacular dinner at Red Steakhouse (no pictures! We were too hungry and gobbled everything up before I remembered to take a photo!) 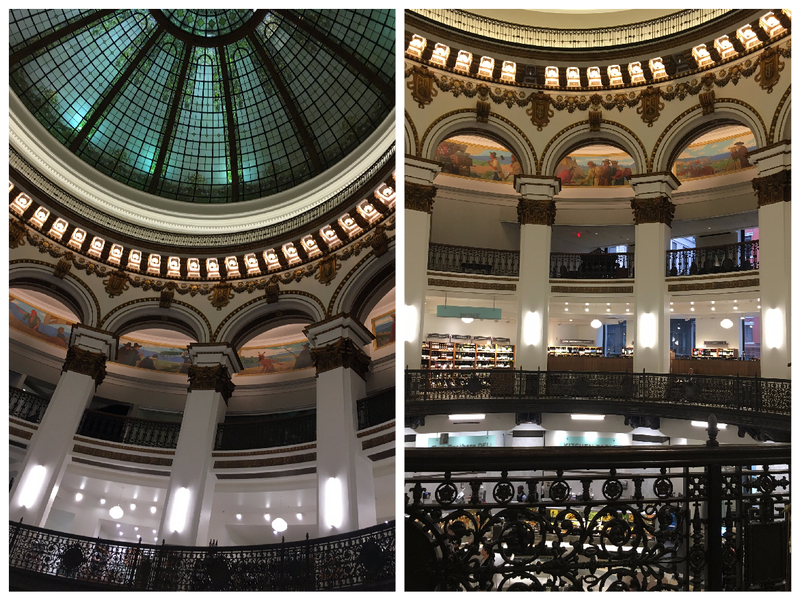 and then popped into the new Heinen's to take a peek. What a beauty! I wish that could be my regular weekly grocery shopping spot. Then off to my next surprise of the evening which walked us right past where it all began, The Wyndham Cleveland at Playhouse Square, where we held our wedding reception 💗 Of course we had to snap a photo. 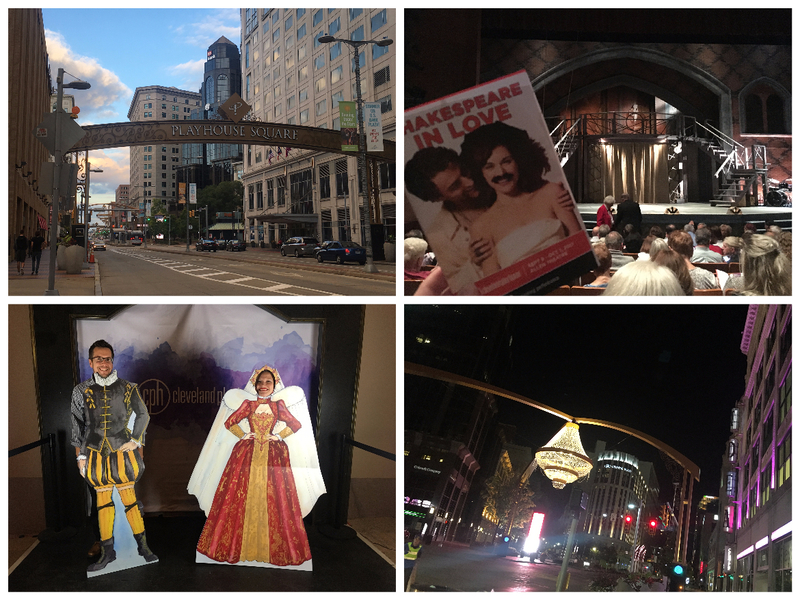 Then it was off to Playhouse Square to see Shakespeare in Love! Oh what a wonderful performance. It was funny and charming and romantic all rolled into one. The cast put on a spectacular show and reminded me just how much I love the theater! We don't get to do this nearly enough. 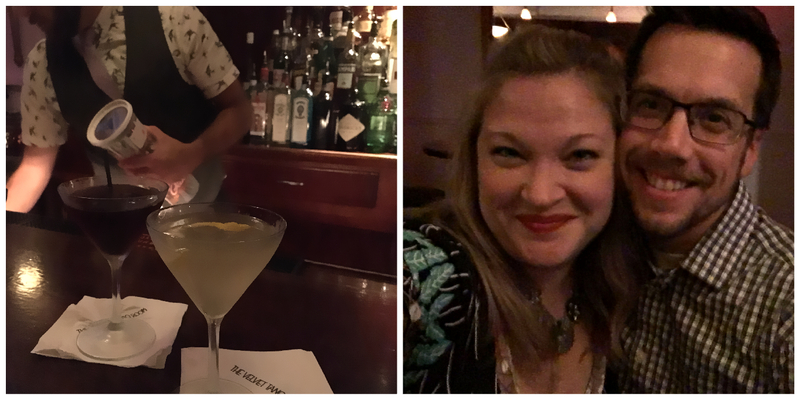 After the show we popped into the Velvet Tango Room for some swanky cocktails to round out our night. If you have never been here before it is worth a visit! Each cocktail is carefully crafted; you can truly taste the artful mixing these bartenders create. It's a welcome step back in time, where the clock slows down, the live music is jazzy and the conversation is always special. But of all the beautiful plans for my surprise getaway, I think Friday morning was my favorite. We slept in as long as we wished in plushy, white blankets and lots of pillows with no requests for juice, or snacks or kindles. We enjoyed sweet morning snuggles while sipping coffee and catching up on blogs (me) and The New Yorker (him) until our tummies were ready for food. Then we got ourselves prettied up and headed to my next surprise- BRUNCH! It's probably my favorite word and easily my favorite thing. And something that we don't get to truly enjoy much anymore. 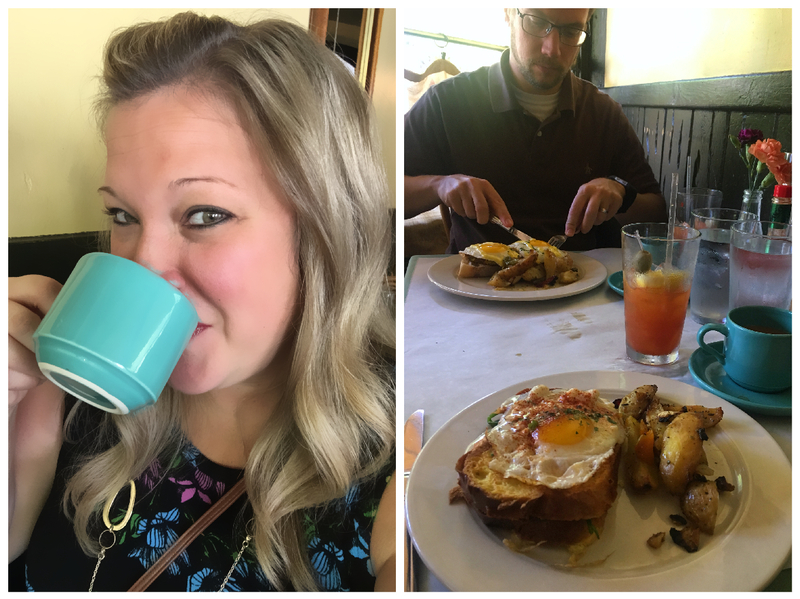 Scott took us to the most adorable restaurant, Le Petit Triangle Cafe. It's this tiny, colorful French bistro in the heart of Ohio City. The coffee was the best, hands down, I have ever enjoyed next to our honeymoon in Italy. Not to mention the wonderfully spicy Bloody Mary's. Mmmm. Now onto the food... my photos don't do it justice, but trust me when I say it was perfection. I enjoyed the Croque Norveggien, which was egg dipped challah, smoked salmon, spinach, creamy boursin, drizzled with béchamel and topped with an egg. 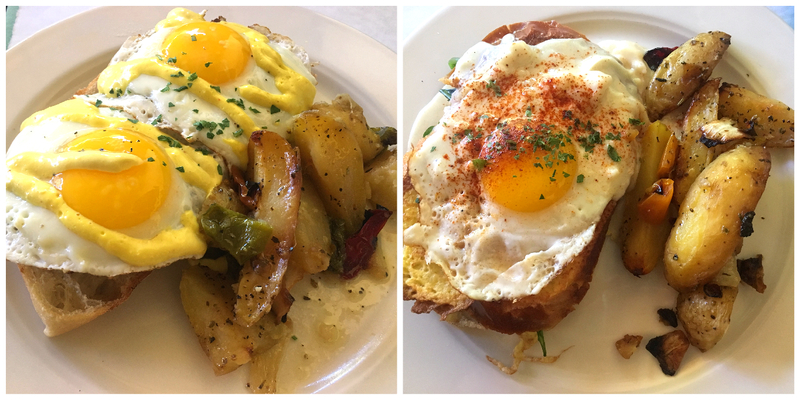 Scott had the Baccalahau au "Benedict" which were these incredible salt cod and potato cakes, pugliese, fried eggs, and a pimenton aioli. I can't recommend this restaurant enough, they created a cozy, truly authentic, down right delectable experience. Right here in our very own CLE! It was so fun being tourists in our own town and experiencing Cleveland in a different way. I think this may have to become our new anniversary tradition! Thank you Scottie for showering me with such a beautifully thought out getaway. It was truly romantic! I love you to the moon and back. Have you ever taken a vacation in your hometown, treated your adventure as if you were a tourist yourself? I would love to hear all about it! Please share your stories with me here in the comments, on my Facebook page, or as you follow along with our families adventures on Instagram.